A few years back I caught up with Clayton Christman who purchased TrollingMotors.net from me. I learned how much better the business was doing once it was freed from the shackles and constraints of its incompetent previous owner. It was time to catch up with Pat Haggerty, the former operations manager of Right Channel Radio, who ended up buying the business. It’s been 18 months since the deal closed so we check in to see if the business is enjoying a similar post-sale renaissance, and what life has been like moving from employee to owner. Andrew: Welcome to the eCommerceFuel Podcast. The show dedicated to helping high six and seven-figure entrepreneurs build amazing online companies and incredible lives. I’m your host and fellow eCommerce entrepreneur Andrew Youderian. Hey guys. Andrew here and welcome to “The eCommerceFuel Podcast.” Thanks so much for joining me on the show today. I’m excited to be with you. And today, I’m joined by Pat Haggerty, who is a good friend, someone I worked with for five-plus years, and he is the new – maybe not so new, it’s been 18 months now – owner of my old online my old online store, Right Channel Radios. I’ve talked about that in the past, of course, and mentioned the sale, but never had…never did an episode really or never really had a big debriefing with Pat. I thought it would be kind of fun to sit down on the mic and chat with him about just the whole process: why he decided to buy the business, how that transpired, and perhaps most interestingly, what’s it’s been like transitioning from working, you know, for a business – he was my sales manager and operations manager – to being the guy who runs the business and owns the…I guess he ran it largely for a while, but the guy who owns the business. Very different roles and we talked about that transition what he thought was, you know, about as expected, easier or harder. Just kind of fun to sit down and talk to him with a little bit of perspective after the sale. So, I hope you enjoy it. I had a lot of fun talking and I hope you find it interesting as well. But before we jump in, I want to say a big thank you to our sponsors who help make the show possible. First to Klaviyo, who makes email automation easy and powerful. And there is a ton of email service providers out there, but very few of them are really built from the ground up for ecommerce. And what makes Klaviyo different is that it pulls in all of your ecommerce related data: your product catalogue, what your customers have purchased, who they are, how many times they’ve purchased, so that you can build really targeted automated flows based on what they’ve bought and what they’ve done. It’s email designed for ecommerce, which is really cool. It’s who I use at Right Channel Radios and it’s gonna be…email, in general, are some of the best ROI you’re ever gonna see in marketing and Klaviyo allows you to really dial that in and get the maximum from that channel. So, if you’re not using them, you can check them out and get started with a free trial at klaviyo.com. And secondly, I want to thank the team over at Liquid Web, who offers managed hosting for WooCommerce. And if you’re on Woo, this is the place with one rock-solid home for your store that you need to be looking into for two big reasons. One, their hosting is completely elastic, even though it’s self-hosted, so you don’t have to worry about spikes in traffic. Your store is gonna stay online no matter who or where you get featured in it. And secondly, they have an entire suite of tools to help you stress-test your store and test changes internally before you roll them out publicly, including a staging site, including a whole battery of tests so that you can, you know, run against your store to make sure you’re set for prime time when you need to be. So, if you’re looking for the perfect home for your WooCommerce store, this is the place. Check them out at ecommercefuel.com/liquidweb. With that being said, let’s go ahead and get into my discussion today with Mr. Haggerty from Right Channel Radios. Andrew: Mr. Haggerty, good to have you back on the show. Cheers, sir. 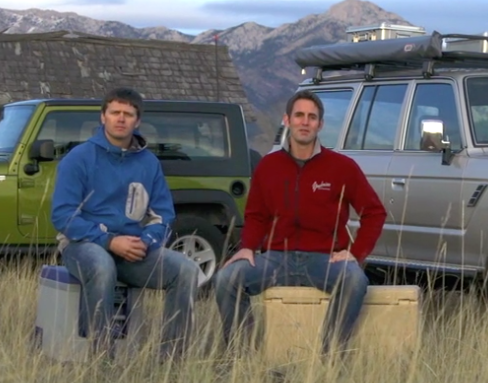 Andrew: We’re sitting here in the Bozeman office, couple of beers and excited to talk about business that you bought. Andrew: You were on the show…what was it? Like episode 10 or something, right? Pat: Yeah. A long time ago when I was talking about this violin business that I was gonna do that never really flew guys. Andrew: That’s right. We all have lots of those. Pat: Oh, man. It was a good one. Andrew: So, I mean obviously, context really briefly for people who aren’t familiar. We worked together for five-plus years and, push come to shove, when I was ready to sell Right Channel Radios, you expressed interest in buying it and ended up buying it. And here we are, what, a year and a half later and thought it would be fun to do a sit down and talk about, yeah, how that went, kind of the process. It’s always fun talking about, you know, these kind of things after the fact. So, thanks for being excited to dive in and thanks for being willing to do it. Andrew: So we…I remember, you know, it was probably a year before I sold, we went and had lunch at Ale Works. Remember this? Andrew: We sat down, told you I was gonna sell the business. And, you know, a lot of times people don’t tell their team that they are gonna be selling the business, but we had a great working rapport. I trusted you. It didn’t make sense not to. What were you…I mean when I told you that, what was your reaction? What was going on in your mind? And hopefully, you can be totally candid, given the fact that we are where we are now, but was it worrisome? Was it strange? Was it immediately, “I wanna buy this”? What went on in your mind? Were you worried about the change in ownership and not having a gig anymore? What was your thought process? Pat: Yeah. Good question. You know, I’m not a person who gets really worried or stressed out too much, but I’ll say this, I remember you telling me that. I remember not being surprised. You know, we had…you know, just a little before probably a year or maybe even two years before I sold Trollingmotors.net, you know, as we were redesigning Right Channel and, you know, as you and I had had conversations, I think I knew that it was coming down the pipeline at sometime. You know, ecommerce field’s blowing up, you have tons of members. You know, things are going well over there. You really wanted to get more involved or some…in my mind, you wanted to get more involved with a proprietary brand and product. And yeah, so I wasn’t that surprised to hear about it. And, you know, because I’m weird, probably no. I wasn’t that nervous about it. Andrew: That’s like me, I never get nervous. But, you know, at that point, you know, obviously we didn’t have any price, we didn’t have a multiple. It was more about, you know, “Hey, we’re gonna sell the business, therefore we’re gonna kind of trim down expenses, you know, work on building a good, solid multiple, you know, run this thing pretty lean and so you can sell it, you know, for a good chunk of change to some sucker. Pat: Yeah. Pretty much. Some sucker. Here I am. Andrew: But it’s curious, I guess. It’s funny, one of the reasons I sold it – as you know very well, we’ve had a lot of candid discussions – was kind of some worry about drop shipping and Amazon’s pressures and competitive things and I think we can talk about this maybe a little bit later. But thinking potentially over reacted to those pressures and underestimated maybe the defensibility of the business, but what…on your side, what made you decide to buy it? Because I had like when we sat down, the candor of the discussion was like that was a big part of it, was, “Hey, I feel like ecommerce is going somewhere else.” And I was trying to be upfront with you both even before I knew you were gonna buy it. Was that something that scared you from or worried you from the beginnings when you were thinking about buying it? Pat: Not really. And I think, for a few different reasons. One, you know, obviously, I was working within Right Channel Radio day to day. I was running all the operations. You know, you were doing multiple things, you were very obviously, in charge of strategy, growing the business, maybe pursuing some initiatives. But largely, I was running the business, you know, day to day, running operations. And I would say I really had my finger on the pulse of the business, maybe more so than you did. Andrew: Oh, definitely, more so than I did. Pat: Anyway, I just knew that we had, you know, based on what our customers said about us and, you know, experiences I had with the business, the business was growing year over year. I understood where you were coming from, but I just didn’t share the same concerns, or at least I didn’t think the concerns were quite as immediate as you thought they were. Andrew: Yeah. So how did you…maybe walk us through. We had a conversation. That was in June, you know, in June/July, the summer and then the winter really started. I started…because I think the talk we had was…I said, “Hey, Pat, I’m gonna talk with a couple of our suppliers who…because you had asked at that dinner, you know, “Is there any possibility of me buying the business?” And I was kind of upfront with you is, “Well, I’m gonna go to our two suppliers first because just candidly, they probably can pay a much higher multiple given some of the cost savings and things, and if you wanna pay a crazy multiple, you can, but probably, it won’t make sense. And if they don’t bite on the deal, then absolutely, let’s talk.” So how did…they didn’t…neither of them bit on the deal. One of them didn’t bite when I thought they would. The other one I decided I didn’t want them to bite and we just…for various reasons, I wasn’t sure we could’ve got a deal done. Anyway, how did we go from…how did you get to maybe this is something you are curious about to actually deciding like, “Hey, definitively, I wanna do this.” Was that a pretty fast process, or was it something that took a while, talking to Christina and thinking through? Pat: Well, I never thought I’d actually get the opportunity to buy it. I was shocked when the supplier that you and I both kind of…I was just absolutely shocked that they didn’t pick up the deal because it would…in my mind, it was such a no-brainer for them to buy it. I just…I’m shocked. I’m shocked that they didn’t pick it up. Andrew: I was shocked too, yeah. But it works out great of course. I knew a lot about, obviously, ecommerce, operations, I even think strategy and marketing to some extent. And so I kind of wanted to stay in that realm. And I started talking with some people around Bozeman, you know, about potentially being involved with a SaaS app, you know, launching, you know, some of that other stuff. Anyway, it was a good time to kind of explore options, but then when the opportunity came up, I just, you know, Christina and I both, we just believed in the business. Our customers were having great experiences, we were profitable. We just said, “Yeah. Let’s see what it would take to buy Right Channel,” because we knew that was gonna be a process in itself. Andrew: Talk to us about hesitations. Did you have any hesitations about buying the business coming in? Pat: Oh, yeah. I mean I did have some hesitations. I mean I just had to figure out if it was a possibility first, you know. So I said, “Yes, I’m interested.” We kind of…you know, you and I talked and said, “Hey, well let’s define a deadline so I can, you know, pursue some potential financing options.” I didn’t have the cash laying around to just buy it outright, so I had to look into financing. So I think that we were just gonna go down that road and see if there was even a possibility and then address kind of some of the major questions or hesitations we had. Andrew: How did you end up financing the deal? And so we brought in or I brought in a couple…investors actually, who didn’t actually bring any money to the table, but what they did is they guaranteed portions of the loan. Each of them guaranteed a portion of the loan along with Christina and I came up with a 20% down payment for the business. We had cash to do that. You know, the rest of the loan was guaranteed by these other two parties in exchange for some equity in the business. Andrew: What’s the experience been like having equity investors? Is it…for some people, it terrifies them. In some cases, it works out well. Has that…your thoughts on that? You know, 18 months later, has it been pretty smooth having other equity people in the business? Pat: Yeah. It has been. It has been pretty smooth. You know, when you have an equity investor or equity investors, you know, you come up with an operational agreement. I’d say the operational agreement is overly fair for myself to make decisions within the business. These guys, my equity investors, just kind of want to stay in the background, but one of them, I can just really see us doing some bigger projects down the road. Thus far, they’ve just been, you know, over the moon about Right Channel and it’s funny, they’ve really been happy with how I’ve performed, you know, with the business and how we’ve grown the business. And I just foresee this being a great relationship down the road, allowing us to, you know, obviously, work together in Right Channel now, but potentially do something bigger in the future. Andrew: So 18 months later, deal of course is closed, you’ve been at the helm for 18 months. How’s things going for business? I mean we can look at top-line revenue. How are things looking versus when you took over? Pat: Really good. You know, we’ve been really happy with the amount of growth. It hasn’t been anything explosive, but we were up, you know, 13% year-over-year from date of the sale to, you know, a year later. And we’ve just been really happy with that, especially since in the midst of that, I think there were just a lot of things that took longer and probably more effort than I initially anticipated. Andrew: Like what kind of stuff? Pat: Oh, yeah. What kind of stuff? Primarily just…I think the amount of effort that I have to put in the business outside of operations. Or just how hard it was for me to separate from doing daily operational duties to, you know, doing marketing initiatives, accounting, just thinking strategically about growth and the things that we can do to better serve our customers. Yeah, the things that would really kind of kind of grow, grow Right Channel…it is just as easy…you know, we are busy enough with daily operations. It is just easy to get kind of sucked into only doing that and let that eat up all of your time. Andrew: Yeah. How do you deal with that? I mean that was one of the bigger reasons why originally I brought you on in the business is because it’s really…we’ve got an interesting thread in the forum I’ll link up to in the private forum, it’s about single operator or single-owner businesses. They can be great in the sense you can run really leanly, you don’t have HR issues, you can a lot with a single person, smart business ownership, and running it and technology. But the flip side is like you…at the moment, if you go on a vacation, apart from your virtual assistant, like there is not someone else you can fall back on. So, how are you dealing with it now as a single…as a, you know, a solo founder? Because that’s tough. Pat: You know, one thing to note is I do have an all-star VA and so, you know, if I decide to take a vacation or if I am sick, I can just turn the phones off, right, and not answer the phone calls and get back to customers who might have, you know, really high-tier customer support request, you know, installation question. But beyond that, my VA was really able to handle, you know, operations as far as, you know, kind of the basic operations. You know, routing orders and then tracking numbers, responding to sort of like lower-tier customer requests. But recently, this is actually something I’m really excited about, just in the last month and a half, our business has changed quite a bit where I brought on what I consider to be kind of an outside…almost like an outside sales team. They are not doing outside sales, but essentially what I’ve done, is contracted out this team, who I’ve trained to a handful of people specifically with, you know, knowledge of our products and processes and just kind of our business and business attitude to, you know, receive phone calls, you know, take care of customers, you know, place orders online, work within Shopify, and then also work, in conjunction with our VA, far, you know, maybe even higher-tier requests and actually, you know, start taking care of that operational side of my business. And it’s really freed me up a ton to just kind of focus on those higher level kind of strategic initiatives, things that I think that could really help us experience some of that, you know, high level…not high level, but more explosive growth. Andrew: Because the hard thing when you’re doing it solo, is you can’t batch anything. Like it’s…for me getting stuff done, a huge element of being productive is having blocks of time to commit to something and when you’re trying to man the phones, you can’t batch this at all. You know, it’s they come in every half hour and just kills your flow and your productivity and I love like…I think it’s brilliant the way that you’re setting things up in terms of…because phones for…when we were running it, like that was probably the hardest thing not to try to crack in terms of solutions, especially for the business where the phone sales are important, but the lifetime value isn’t enormous, the profit porter isn’t enormous, so you can’t justify having someone, you know, just solely dedicated to phones because it’s harder to pencil out. Anyway, all that to be said, I think the system you have where you have a tier-one on the phones support and then you schedule kind of VIP consulting, technical consulting calls with the owner, it allows you to batch them, but it also seems pretty cool, potentially from a customer’s perspective. If I get a scheduled call from the owner of the business, that seems high touch to me. Pat: Yeah. And I think that’s exactly what it is. You know, at the end of the day, when a customer calls in to your business, you know, they just want to make sure that they’re gonna be helped. Whether they’re having an issue with a current order or whether they want to place a new order, what they want is to be able to call somebody and, you know, have the…you know, have whatever their issue is taken care of. And that’s something that this team is just doing an excellent job at. I think all of our customers feel like, you know, regardless if the person who answers the phone knows the answer to their question, they are gonna find the solution for that person, whether that is, you know, immediately but if…you know, immediately right then and there, or whether it’s, you know, if it’s a real…if the customer has a really technical question, like you had just said, you know, they build a schedule call with me, you know, later in the afternoon. I’m happy to call people back, but it does enable me to kind of segment my day, so I do calls in the afternoon, but in the mornings, now I can just really crank on things that I just think, you know, have a better opportunity. Pat: Yeah. I think we’re a lot higher touch with our customers quite honestly and just provide a better, you know, kind of a better customer support atmosphere. When I was working for you, you know, and I was also…I was kind of half time doing RCR and half time doing Violin Pros, I was, you know, on the phones from 8:30 am until 12:30 pm, right? So just like this four-hour stretch. Now, we cover, you know, from 7 am until 6 pm non-standard times, so we have even significantly more phone coverage. But the thing I think that would that you would think was really cool, you know, we have this Slack channel between our phone service team and, you know, our VA and it’s just cool for me to see all these multiple people going back and forth about, you know, helping customers and you can just kind of tell that they’re engaged, they’re trying to make sure the customers are taken care of, issues are getting resolved. And I can just sit back and kind of watch this Slack channel blow up all day. And it’s just really…that probably would be the one thing that you’d think is the coolest. Finally, Pat Gets a Raise! Andrew: That’s awesome. That’s really cool. Did you give yourself a big raise from that cheapskate who was paying you before? Pat: I did. I did. You know, yeah, I mean. Yeah. I did. I gave myself a pretty decent raise. I also, you know, got a few more mouths to feed and growing the family, so, you know, a little bit. I mean, I don’t pay myself, you know, a huge amount or anything like that. But yeah. A little bit. Nice little bump. Andrew: Do you think that…we touched on this a little bit earlier but got out of touch. Do you think my fears about the business being at risk given the increased difficulty of drop shipping in an Amazon world were overblown? Like do you, a year later, a year and a half later, do you feel like Amazon has been eating into a lot of what you’re even doing or do you feel like you’ve been pretty insulated largely in part due to the fact that amplified phenomenon very, you know, kind of niched service and be that there is a lot of complexity in the products you sell? Pat: Yeah. I think the latter is true. Amazon, obviously, you know I use Amazon. Order a lot of things from them. They do carry some of our products, but there are some things that they don’t. Because of the complex nature of, you know, radios and installation, you can buy from Amazon, but if you’re gonna buy from Amazon and be successful, you have to be much more…kind of much more educated or technically minded. You know, the thing, I think, with any business, going forward, is you have to be able to provide some kind of value to your customer. And this is probably one of the reasons why I was so keen on buying Right Channel Radios is I do…I feel like we bring a lot of value to the table. You know, when you look, I guess just at the resources that we’ve developed, the customer loyalty that we’ve developed, you can just see that, you know, we’re kind of right now the undisputed expert in the CB industry when it comes to, you know, CB, you know, choosing the right products for your vehicle and things like that. There is just some complexity, you know, that at this point, you know, Amazon hasn’t been able to duplicate and I think that, you know, at the end of the day, I don’t think they’ll ever be able to bring the level of customer service that we do. And that’s worth something to a lot of customers, especially as people get more and more adept at buying online. I think, one thing, Andrew…another reason, I was confident in buying Right Channel Radios is still feel like we’re at the beginning of the ecommerce thing. Amazon isn’t gonna own everything. I mean they’re gonna own a large share, but they’re not gonna own ecommerce period. You know, there’s gonna be plenty of niche shops just like ours who are gonna take a chunk out of the market and be able to be focused on their particular products and bringing value to an end customer. Andrew: Yeah. Yeah. You have a pretty aggressive plan when you closed to really attack that debt, you know, on the business. That was something that was important to you. How has that been going? Has it been harder? Easier? About as on schedule for you? Pat: No. It’s been on schedule. We’ve been doing great paying down debt and we’ve really taken a chunk out of our loan already. And, yeah, we’ve just been really pleased, man. And I’ll tell you what. Probably the toughest thing for me is sometimes I just like to have sort of a larger cash cushion. And you know that…I mentioned earlier, you know, the one investor that we have, they were like, “Hey, men. Identify the amount that you need in the bank and just keep that, you know, and every month, you know, put some down on the loan.” And so I started to do that. There was a time, though, where I had a cash cushion that was literally like four or five x what I needed to have and…anyway, it was kind of silly just to be sitting on that much not putting it down. Will Pat Hire The Next Pat? Andrew: We’ve talked about kind of the struggles and challenges of a solo owner. Are you thinking about bringing on someone else to kind of be in an operational role? Is that something you’re considering? Pat: Not at this point. I mean, what I would like to do long-term is really run our business primarily with contractors. You know, like I said this phone sales team right now is working out great. I have our VA. And as long as I can get folks, you know, as long as I can get the same quality that I have right now, I’m really happy to just do that. Also, I just think that, you know, when you bring somebody as an employee, I think as an owner, I suppose, I just would feel a lot of responsibility for making sure that I am properly managing that person, they are taken care of. That’s just not something I really want to bite off right now quite honestly. Andrew: Yeah. Fair enough. Any questions for me before we dive into the kind of closing lightning round here? Pat: Oh, man. Do I have any questions for you? Yeah. Do you regret selling? Andrew: Sometimes. I think I did and I have mentioned this in the past few times, but yeah. No. It’s not like an overarching regret, I wake up every morning and just, you know, waaaah… release a primal wail, but yeah. I think I did…I think your perspective on the business in terms of the defensibility was much more on point than mine. I think I was a little intimidated by how quickly I’d seen Amazon eat things and how difficult a lot of resellers of existing products were struggling and how difficult it was for them to maintain the business without fully considering the reputation we built, without considering the complexity of the products and the customer service and things like that. So, yeah. I mean, it’s not a life-long regret, but if I went back and did it again, I’d probably give it a very long, second consideration. Pat: Well I remember even, you know, there was a time in the process where I thought my financing had totally fallen through. I remember you were like, “All right.” You know, you were like, “Okay. Well maybe I’m gonna hold onto this for a little bit longer.” Yeah. That…how long did you have the Shopify app on your phone for Right Channel after we closed ? Andrew: That was terrible. I can’t even talk about this, but yeah, that was horrible. Two to three months. And I felt…whenever I saw Right Channel have a great day, it felt terrible. But then I felt…whenever I saw it have a horrible day, I felt equally as bad as being like, “Oh, I’m so glad I sold it,” because you bought it, right? So, at the end of the day, ultimately, I was just like, “This is unhealthy in any way I try to look at it.” I had to delete it. But yeah, it was like three months, you know. Pat: Yeah. I remember talking about that. I was happy to let you have it on there. I think you still have the admin privileges as well. Andrew: No. I think I tried to log in for something the other day, you know, transfer a large payment to myself from PayPal. Andrew: We’ll close…we’ll do…let’s do a lighting round here before we wrap up. If you had to identify the one thing you’re trying to optimize your life for right now, what would that be? Pat: Relational health I’d say is the one thing we are optimizing our life for. You know, Christina and I are just really focused on kind of building our relational network here in Bozeman and just within our friends, family, you know, with our children. That’s really the thing that’s most important to us right now. Andrew: Who’s someone you strongly disagree with? Pat: Three people. Actually, not people, organizations. Region One Forest Service in Bozeman, Montana, the Greater Yellowstone Coalition and the Sierra Club because all three, in our area are actively working to close off access to public lands in Montana primarily those if you’re mountain biking or, you know, trying to do any kind of recreation that isn’t hiking or…that really isn’t hiking. I mean, even horseback riding those guys just kind of wanna shut…have been shutting everything down. They have tons of out-of-state support too, that’s a majority of their financing is from out of state. Not the forest service, but the other two, which is very disconcerting for Montanans. Andrew: How much in your bank is enough? What would be your number? Pat: That’s a good question. One I’ve thought about as I’ve listened to other podcasts. Quite honestly man, there isn’t a number for us. And I know, maybe this is a cop-out, but at the end to the day, the things that are most important to us are, you know, relationships, are physical, what I would consider relation and physical capital. And the reason I say that, while it is nice to have money in the bank, those are the things that really take time and effort to grow and maintain and I think at the end of the day, you know, when I look back, you know, those are things… Also, I don’t think money provides as much security as people think it does. Andrew: What’s the worst investment you’ve made in the last 10 years? Pat: I don’t invest in the market much, but when I do, I invest in things like AIG and then lose all my money. And I did that. Pat: Pretty much. I remember I was following this investment guru and it was around like…this is so stupid, but I remember thinking like they had this awesome World Cup ad at the time and I’m like, AIG…I didn’t really know anything about their business, but this guru guy was recommending them and I’m like, “Yeah man. Let’s put this money in here and let it grow for a while.” And then it was literally gone within like a year and a half. Andrew: Doesn’t get much better than that. And by better, I mean worse. What’s the best investment apart from your core business that you’ve made in the last 10 years? I’m guessing…I’m hoping that you have a really good Craigslist story here because you tend to be the king of Craigslist flipping, buying people for $500. Pat: I really used to be…and I just haven’t been doing it in a long time. The best investment I’ve made? Oh, man. I gotta say – and this is going back to the thing that we’re focusing on right now – the best investment I’ve made is just really taking extra time to put in with, you know, the people around us, our community, building relationships. Man, that’s the thing that really pays off long term and you know, at the end of the day, those are the things that me and my family care about the most. So, you know, taking intentional time with…especially within the last couple of years, to, you know, connect, be vulnerable with friends and people within our community. That’s been the best investment. Andrew: What was the first CD you ever owned? Pat: Man, and if you want to catch me on a happy day, it’s me riding my bike…riding my mountain bike, listening to Beastie Boys. And that’s one…you’ll find me at my near happiest like that. Andrew: Nice. Nice. And finally, you have your fifth child on the way. Is it possible to have too many children? That’s what I wanted to ask you. Pat: That’s a good question. Yeah. I think it is. And I’m hoping five isn’t it. I’m hoping number five is the threshold. Andrew: Surprise number five, I might add. Pat: Oh my goodness. Yep. Yep. We’re…at this moment of the podcast, we’re 13 weeks…or my wife’s 13 weeks pregnant with our fifth and yeah, it was a bit of a shocker. Andrew: Yeah. That’s nice, man. Well, Pat, it’s been an awesome ride. Thank you for buying the business. Appreciate it. Excited to see it’s doing well. I hope it continues to do well for, you know, the long-term future, and good to have you in my life and thanks for coming on to talk about it. Pat: Absolutely, Andrew. I feel the same way. Thanks for having me on. I appreciate it. Andrew: That’s gonna do it for this week’s episode, but if you enjoyed what you heard, then check us out at eCommerceFuel.com where you will find a private, vetted community for online store owners. And what makes us different from other online communities or forums is that we heavily vet everyone who joins to make sure that they have meaningful experience to contribute to the broader conversation. Everyone who we accept has to be doing at least $250,000 in annual sales on their store. And our average member does seven figures-plus in sales via their business. 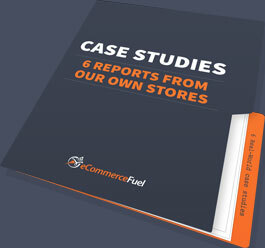 And so if that sounds interesting to you, if you want to get, you know, connected with a group of experienced store owners online, check us out at eCommerceFuel.com where you can learn more about membership as well as apply. And I have to again thank our sponsors who helped make the show possible. Klaviyo, who makes email segmentation easy and powerful. The cool thing about Klaviyo is they pull your entire catalogue, customer and sales history to help you build out incredibly powerful automated segments that make you money on autopilot. If you’re not using them, check them out and try them for free at klaviyo.com. And finally, Liquid Web. If you’re on WooCommerce, if you’re thinking about getting on WooCommerce, Liquid Web is the absolute best hosting platform for three reasons. One, it’s built from the ground up for WooCommerce and optimized by some of the best industry professionals in the WooCommerce WordPress space. They really know this stuff. And it’s highly elastic and scalable as well as comes with a whole suite of tools and performance tests to optimize your store. You can check them out and learn more about their hosted WooCommerce offerings at eCommerceFuel.com/liquidweb. Thanks so much for listening. Really appreciate you tuning in and looking forward to talking to you again next time. Want to connect with and learn from other proven ecommerce entrepreneurs? Join us in the eCommerceFuel private community. It’s a tight-knit, vetted group for store owners with at least $250,000 in annual sales. You can learn more and apply for membership at eCommerceFuel.com. Thanks so much for listening and I’m looking forward to seeing you again next time. Andrew and Pat – had to listen when I saw today’s email come in – really enjoyed your candid conversation about the transition experience! Pat – booming business AND 5 kids – you are rocking it on every level! Andrew – I stepped away from my previous career in planning/conservation this past July to jump in as volunteer work horse with the fairtrade-esque ecommerce marketplace that my wife and I launched 3+ years ago. Hope to be eligible for ecommerce fuel in another 2-3 years 🙂 Really have digested a lot of your podcasts which have been on point with my steep learning curve in the ecommerce world…great content, guests, questions, keep it up! Looking forward to dropping in on you in Bozeman sooner than later.